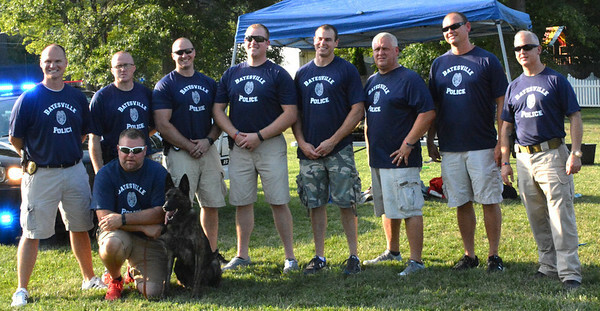 Batesville Police Department Officers Maj. Mike Benjamin, Patrolman Chris Smith, Patrolman Travis Cook, Patrolman Mike Manus, Patrolman/Detective Brad Wessel, Cpl. Dave Abel, Detective Sgt. Blake Roope, Chief Stan Holt; (front row) Sgt. Danny Hamilton and K-9 Jinx particpated in the annual event.